The Pocket Rocket™ blasts you into red and blue laser heaven at a teeny tiny price! Equipped with a 100mw Red Laser and a 80mw Blue Laser, the Pocket Rocket™ puts out thousands of beams which give you a dramatic and ever-changing, room-filling effect. 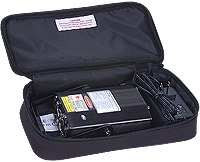 The Pocket Rocket™ is a Class IIIR (Class 3B interal) laser system that's easy to use: just plug it in and run the laser's built-in lighting programs in auto or sound-active mode. It features a sturdy mounting bracket with locking knobs for positioning flexibility, and also features a wireless infrared remote control. Pocket Rocket™ is fan-cooled to run cool all night! 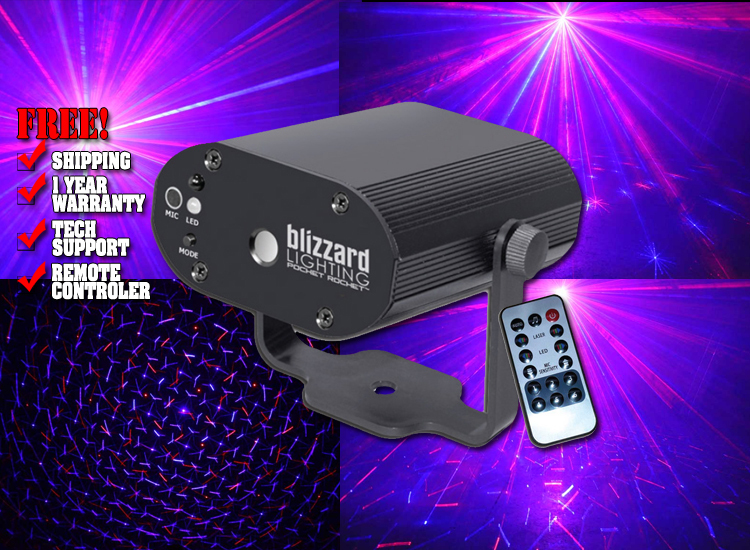 Tiny package, big laser performance - everything you expect from Blizzard Lighting now in a laser! Weight: 1 Lbs. / .6 kgs.